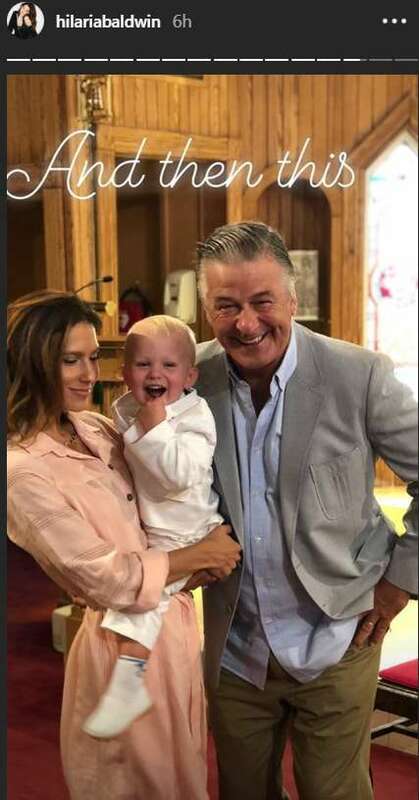 It’s a happy day in Alec and Hilaria Baldwin's household! 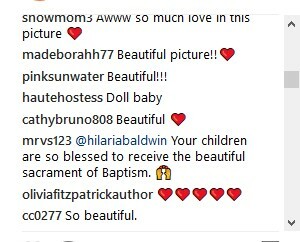 The 34-year-old yoga instructor has just revealed she and her husband have baptized their youngest kids, 1-year-old Leonardo and 3-month-old Romeo. 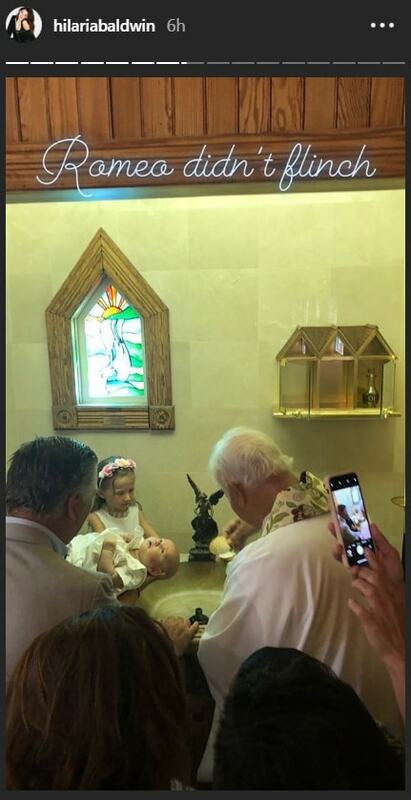 Hilaria documented precious moments and shared them with her followers via Instagram stories. 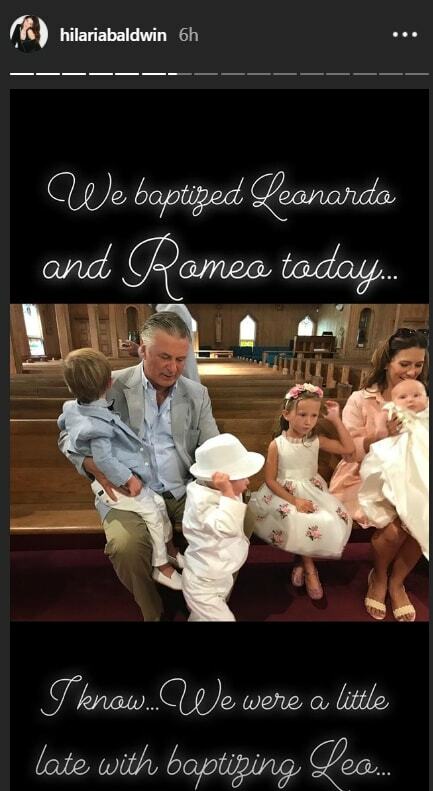 In one of the first snaps, Alec’s wife admitted they were "a little late" in baptizing Leonardo. But it’s better late than never, you know. Both kids took the procedure differently. While 3-month old Romeo didn’t flinch at all and had an easy time during the ceremony, his elder brother was fussier. 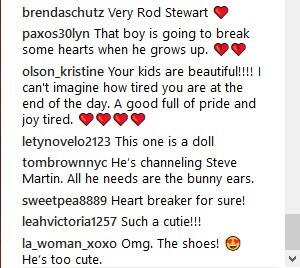 Luckily, his mom gave the boy a sweet kiss and he calmed down quickly. Of course, proud Hilaria couldn’t help but share a snap with her beloved husband, who also played an active role in the ceremony, holding his sons as the priest baptized them. 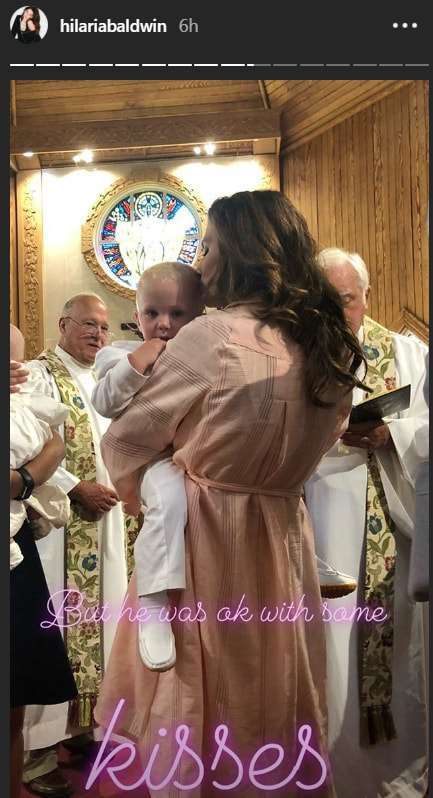 Look how cute the youngest boy looked in the traditional christening clothing while his mom was holding him! Meanwhile, Leonardo sported a white suit and loafers. The Baldwins know how to arrive in style.